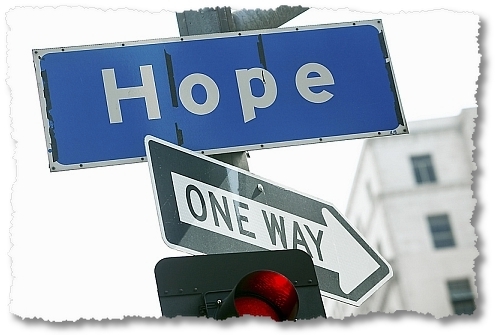 “Is there just one proper gospel-centered rationale for holiness? Should we, in speaking about sanctification, avoid threats and warnings and coming judgment and focus simply on our acceptance in Christ? How many motivations does the Bible have for godliness? I see at least twenty. In the three chapters of 2 Peter alone. 1. 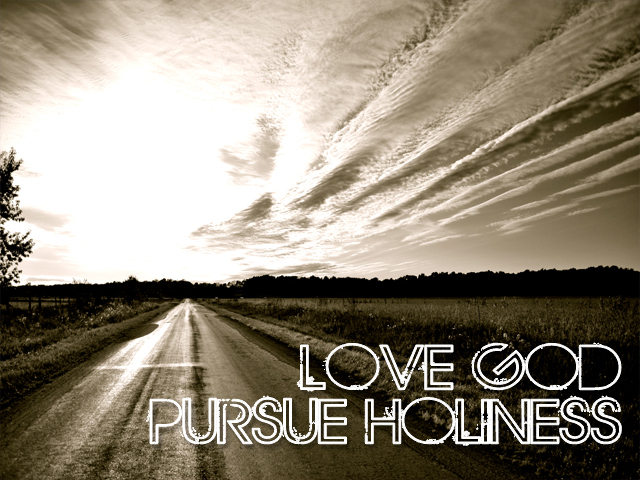 We pursue holiness so that we might become partakers of the divine nature (2 Pet. 1:4). 2. We make every effort to grow in godliness because God has already set us free from the corruption that is in the world because of sinful desire (2 Pet. 1:4). 3. We grow in grace so we will not be ineffective and unfruitful in the knowledge of our Lord Jesus Christ (2 Pet. 1:8). 4. We pursue Christlike character so we will not be blind, having forgotten that we were cleansed from our former sins (2 Pet. 1:9). 5. We work hard at holiness in order to make our calling and election sure, so that we will not fall (2 Pet. 1:10). 6. We practice these godly qualities so there will be richly provided for us an entrance into the eternal kingdom (2 Pet. 1:11). 7. We pursue godliness because Jesus is coming back again in great power, and we know this to be true because of the glory revealed on the Mount of Transfiguration and because of the prophecy of Scripture (2 Pet. 1:16-21). 8. 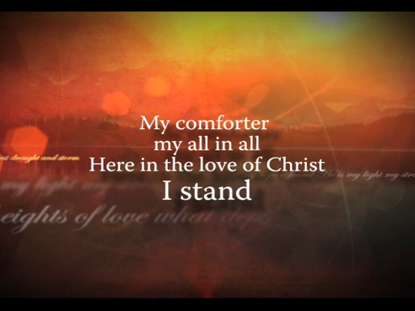 We walk in obedience to Christ because those who wander into sensuality are condemned and will be destroyed (2 Pet. 2:3). 9. We are serious about holiness because we believe God knows how to judge the wicked and save the righteous (2 Pet. 2:4-10). 10. We turn from ungodliness because those who revel in sin are ugly blots and blemishes, irrational animals, unsteady souls, and accursed children (2 Pet. 2:10-16). 11. We pursue holiness because sin never delivers on its promises (2 Pet. 2:17). 12. We pursue holiness because those who live in their sin again are like those returning to slavery, returning to mire, and returning to vomit (2 Pet. 2:19-21). 13. We must remember to be holy because in the last days scoffers will come following their own sinful desires (2 Pet. 3:3). 14. We make every effort to be godly because the world will not always continue as it does now; the heavens and the earth are stored up for fire, being kept until the day of judgment and destruction of the ungodly (2 Pet. 3:4-7). 15. We must take Christlikeness seriously right now because we do not know when the Lord will return (2 Pet. 3:10). 16. We pursue holiness because all our works will be exposed on the last day (2 Pet. 3:10). 17. We pursue holiness because whatever we live for in this life will be burned up and dissolved (2 Pet. 3:11). 18. We strive to walk in obedience and repentance because in so doing we may hasten the coming of the day of God (2 Pet. 3:12). 19. We living in righteousness now because we are waiting for new heavens and a new earth in which righteousness will dwell forever (2 Pet. 3:13). 1) Run to win: “Do you not know that in a race all the runners run, but only one gets the prize? 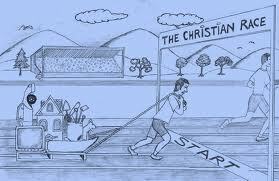 Run in such a way as to get the prize” (1 Corinthians 9:24-25). 2) Observe strict discipline: “Everyone who competes in the games goes into strict training… I beat my body and make it my slave so that after I have preached to others, I myself will not be disqualified” (1 Corinthians 9:25-27). 3) Don’t look back: “Brothers, I do not consider myself yet to have taken hold of it. But one thing I do: Forgetting what is behind and straining toward what is ahead, I press on toward the goal to win the prize for which God has called me heavenward in Christ Jesus” (Philippians 3:13-14). 4) Get constant encouragement: “Therefore, since we are surrounded by such a great cloud of witnesses, let us…run with perseverance the race marked out for us. Let us fix our eyes on Jesus, the author and perfecter of our faith, who for the joy set before him endured the cross, scorning its shame, and sat down at the right hand of the throne of God. Consider him who endured such opposition from sinful men, so that you will not grow weary and lose heart” (Hebrews 12:1-3). 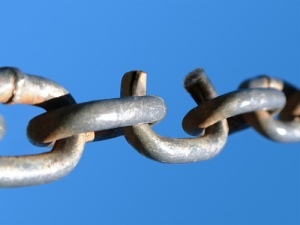 5) Throw off restraints: “Let us throw off everything that hinders and the sin that so easily entangles, and let us run with perseverance the race marked out for us” (Hebrews 12:1). 6) Discount pain: “And now, compelled by the Spirit, I am going to Jerusalem, not knowing what will happen to me there. I only know that in every city the Holy Spirit warns me that prison and hardships are facing me. However, I consider my life worth nothing to me, if only I may finish the race and complete the task the Lord Jesus has given me-the task of testifying to the gospel of God’s grace” (Acts 20:22-24). 7) Don’t let up until you cross the line: “For I am already being poured out like a drink offering, and the time has come for my departure. I have fought the good fight, I have finished the race, I have kept the faith. Now there is in store for me the crown of righteousness, which the Lord, the righteous Judge, will award to me on that day-and not only to me, but also to all who have longed for his appearing” (2 Timothy 4:6-8). If a true believer could fully and finally fall away, what it would mean for God the Son? Christ will have failed in the purpose for which He died (Jn. 6:37-40; 10:14-18, 27-30). Christ will have failed in the purpose for which He was raised (Rom. 4:24-25). Christ will have failed in the purpose for which He now intercedes in the presence of the Father (Rom. 8:31-34; 1 Jn. 2:1-2; Heb. 7:25). Christ will fail to accomplish the goal for which He is to return to this earth (Jn. 6:40b). Christ will prove to have been a liar (Jn. 6:37; 10:27-28). If a true believer could fully and finally fall away, what it would mean for God the Holy Spirit? The Holy Spirit will have failed in his work of sealing (2 Cor. 1:21-22; Eph. 1:13-14; 4:30). The Holy Spirit will have failed in his ministry as a pledge of the future consummation of our redemption (2 Cor. 1:21-22; 5:5). The Spirit will have failed in his ministry as firstfruits (Rom. 8:23). Many people conclude there is no hope and end their life or abandon themselves to a reckless lifestyle. But the Christian can ask, “Why art thou cast down, O my soul? And why art thou disquieted in me? Hope thou in God: for I shall yet praise him for the help of his countenance” (Ps 42:5). Today, we exhort you to turn to Christ and let hope live again in your heart. The doctrine of the imputation of Adam’s sin means that when Adam first sinned, that sin (and its blame) was rightly regarded by God to be our sin as well. The biblical basis for this doctrine of imputed sin is discussed thoroughly in John Piper’s five sermons on Romans 5:12-21. Here we will simply seek to summarize some of the primary evidence from this text. In other words, yes Paul concedes that there are other kinds of laws before the Mosaic Law, and yes people broke those laws, and yes, one could argue that these sins are the root cause of death and condemnation in the world. But, Paul says, there is a problem with that view, because death reigned “even over those who had not sinned in the likeness of the offense of Adam.” There are those who died without seeing a law and choosing to sin against it. We are all condemned not ultimately because of our individual sins, but because of one sin (verse 18). We die not ultimately because of personal sins, but because of Adam’s one transgression (verse 17). It is not ultimately from our personal sins that we die, but rather “by the transgression of the one the many died.” Paul states over and over again that it is because of one sin that death and condemnation belong to us all. In other words, we are connected to Adam such that his one sin is regarded as our sin and we are worthy of condemnation for it. Paul here says that we are made sinners by the sin of Adam. Due to his disobedience, we are regarded as sinners. We cannot take “made sinners” here to be referring to original sin in which we become inherently sinful because it is paralleled with “made righteous.” The phrase “made righteous” in this context is referring to the great truth of justification. Justification does not concern a change in our characters, the infusion of something inherent in us. Rather, it involves a change in our standing before God. In justification, God declares us righteous because He imputes to us the righteousness of Christ–not because He makes us internally righteous (cf. 2 Corinthians 5:21). Thus, when Paul says “made righteous” here, he means “imputed with righteousness” not “infused with righteousness.” Since “made sinners” is paralleled with “made righteous,” it must also be referring to imputation. Thus, Paul is saying that we are all made sinners in the sense that we are imputed with Adam’s sin.